Roslyn Harrison, Erin Consadine and Katie Smith lead this lively group of children to know more about Jesus through songs, stories and activities. 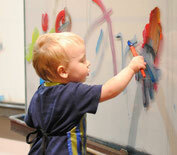 This class includes toddlers 0- 5 years of age. Their program is held in the rooms below the church each Sabbath morning, from 9:30am to 10:30am. The Primary class is led each Sabbath by Matt and Bernice Brown. Children are aged 6-9 years and they love the varied program of songs, a Bible story and activities. They meet in the rooms below the church each week from 9:30am to 10:30am. Children in the Junior rooms are aged 10-12 years and this year Nadine Langman is in charge. Children engage in quizzes, Bible lessons and activities. Their room is below the church and they meet every week from 9:30am to 10:30am. 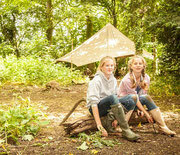 The Adventurer group is for children aged 6 to 10 years old. Bernice Brown and Tony Harrison are running this program and and they have a full year of activities planned for 2019. Children are involved in learning to help the community, go camping and hiking appropriate for their age, engage in fun games and activities and learn to be good citizens. Check the calendar for the activities of this lively group.